Blossom in frilly white blouse ~ No. 2 (circa 1955; actual size approx. 7.7 x 9.5 in. (19.5 x 24.1 cm.)). 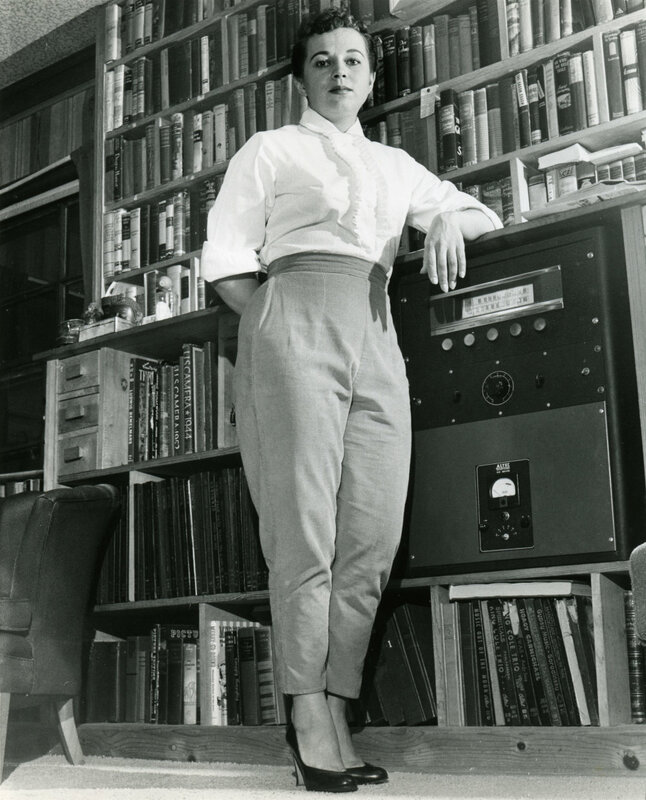 Blossom stands against the north wall of the living room, which shows to good advantage that both she and George were avid readers who favored a wide variety of subject matter (although George's tastes tilted heavily toward books on history and photography). Also on prominent display: the ancient but then-state-of-the-art Altec Lansing vacuum-tube receiver/amplifier, as big as a dishwasher, which probably produced about three watts of RMS power. Lightly retouched to remove various white spots.